I don’t even know where to begin. I’ve been sitting here, starting at a blank box with a flashing cursor and no idea where to begin. I guess I will start off with Happy Waffle Week! 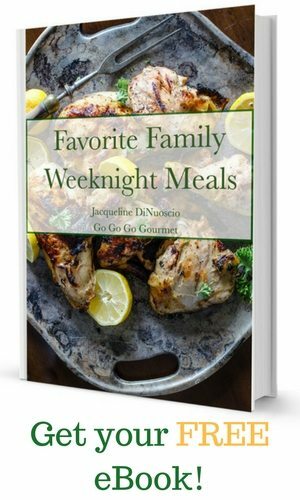 I’ve teamed up with a great group of talented bloggers to flood you with delicious waffle recipes, which you can find using #WaffleWeek2015. 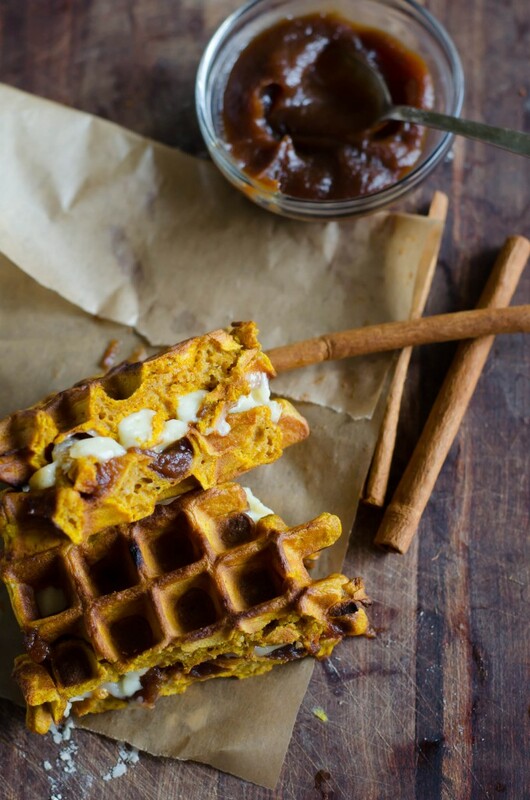 Among us, you’ll find savory waffles, fall-themed waffles, crazy waffles and sweet waffles- but they are all sure to be completely delectable. No wafflin’ there! Aren’t my food puns just awful?! I can just picture David reading this. He’s undoubtedly rolling his eyes and shaking his head at me. I can feel it in my soul. So even though my pumpkin waffles from yesterday were a home run for me, I decided to take them to another level. I created this fall-themed waffle sandwich, using two of my pumpkin waffles and sandwiching apple butter and melted brie in between them. I was exceedingly excited after I took my first bite. I ran, sandwich in hand, and shoved into Dave’s face as he was getting out of the shower. 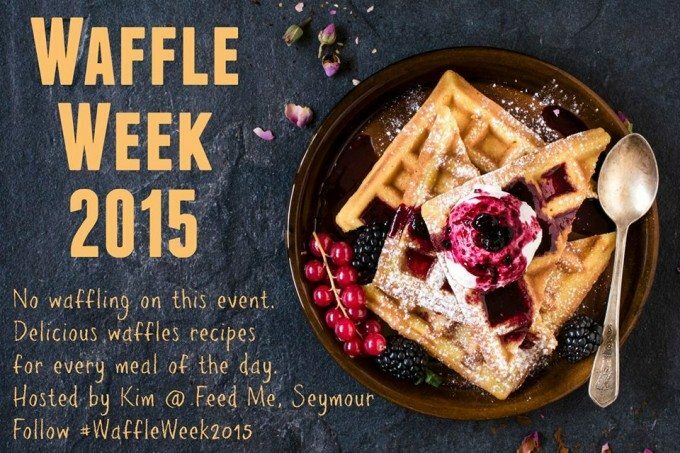 Make sure to check out all the other posts for Waffle Week! 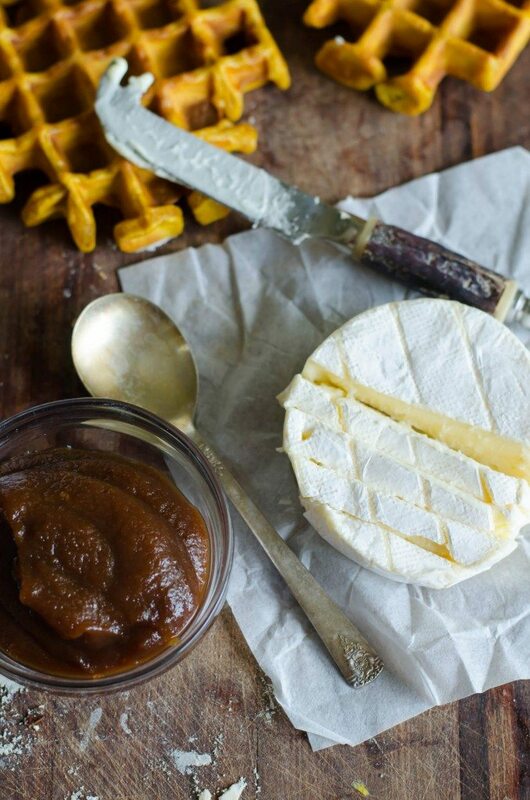 Spread the apple butter on one waffle; lay the brie on top. Toast both waffles in a toaster oven for 3-4 minutes, until brie is wamed and starting to melt. Sandwich the two together and slice in half. What an amazing combination of flavors. You sure did take these waffles up a notch. Thanks Karen! I am so happy that Kim came up with the idea. These certainly do sound delicious!! Wow! 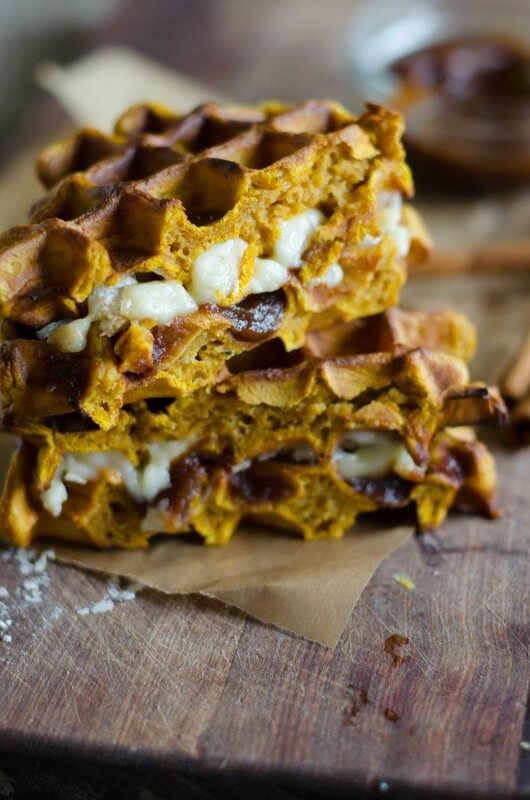 I don’t think you could have packed more flavor into these waffle sandwiches if you tried! Love the combo here! 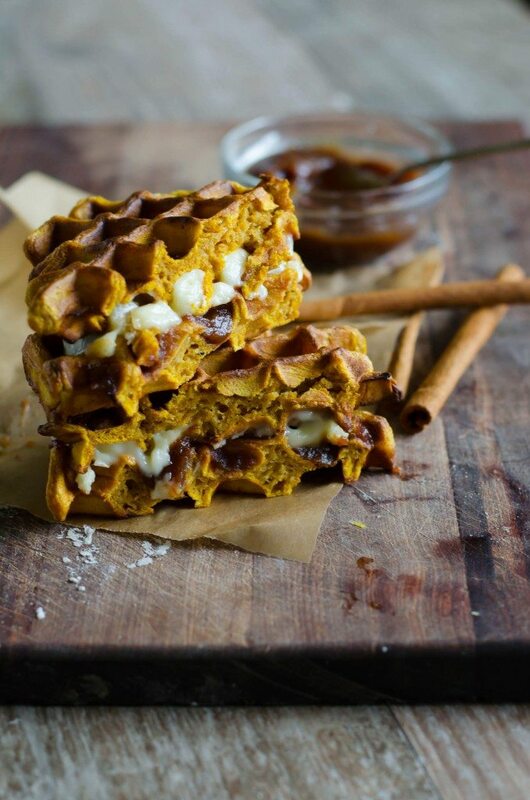 I have pumpkin waffles on the to make list. They look so delicious!! And they’re sandwiches? LOVE! Holy crap that sounds amazing! What a bold combo of flavors too. A waffle sandwich, love it! Pinning this one to my Pumpkin Everything board! This looks so unexpected AND delicious! 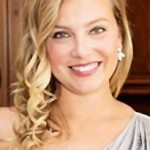 Hi Jacqueline i am Katarina, like cooking. Your site is perfect with a lot of fresh ideas, thank you very much.